Netflix has launched an interactive audio drama on Google’s smart speakers to promote its reboot of Lost in Space. 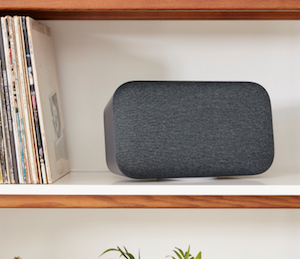 The audio experience, which was produced in collaboration between Google and Netflix, gives listeners a branching narrative with multiple-choice questions and answers that lets them aid key characters from the program. The show’s cast recorded the audio, which lasts about 5 minutes and is free from spoilers about the series. Interactive audio plays have been a topic of exploration for several media companies. The BBC worked on a project in this vein, and Hollywood has made a few ventures. As smart speaker ownership rates continue to trend upward, we can expect to see more efforts in creating new forms of content that play to the strengths of this technology.